We believe that everybody has a little bit of hylophobia, or the fear of trees. Don't believe us? Have you ever been in a forest at night? Pretty dang creepy, huh? You'll argue that it's because of what could be hiding out there in the dark, but plenty of things could be hiding in the tall grass of a prairie but that doesn't bother us near as much. Checkmate, non-believers. Now you want to know the science behind it, right? As it turns out, back in ancient times, there was another group of sentient beings in competition with humans for planet earth. You're probably thinking "What!? That was never in our science books!" We were on the same page as you once; we were young and naïve thinking the human race was always the dominant species inheriting the world from the dinosaurs; but one other species almost got written into the great will. 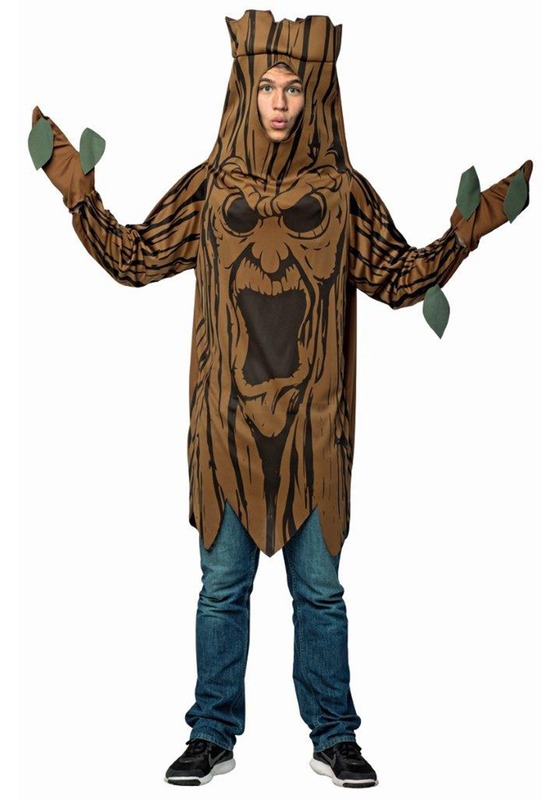 There was a species of spooky tree creatures who moved around in the forests, terrorizing the humans who tried to climb them. We quickly discovered fire and were able to harness it to fight back, but at a dire cost. From then on, it was ingrained in the minds of every child that they needed to be wary of the trees, for it is believed that there are still remnants of the great race of tree folk hiding in our darkest forests. In hopes to better educate the world of this menace, we've worked to distribute these adult costumes around to people who wish to join our cause in raising awareness. This is a wonderful Halloween costume that's easy to wear, but the weight of the world remains heavy on your shoulders with its meaning. Now go forth, brave bringer of truth. Teach them, save them. You are our only hope. The seams connecting the hands unravelled almost immediately, leaving a trail of thread. Otherwise, I got a lot of complements on the costume. Shame the quality is poor. 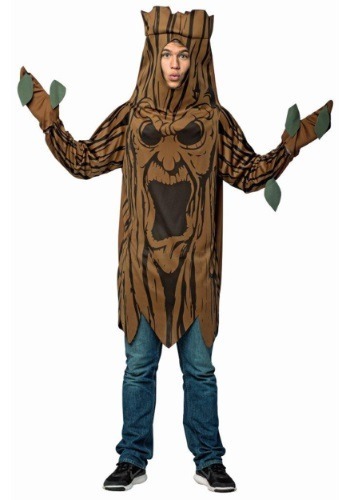 Very simple costume, there are better trees out there.